Shamrock tie measures 3 1/2" wide x 56" long. 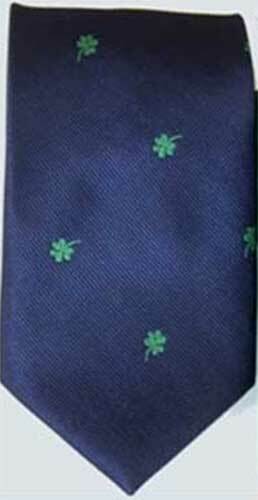 Green shamrocks are scattered all over this navy blue Irish tie that is made of 100% polyester. This shamrock tie is loom woven in the United States and it is received with a shamrock history card, complements of The Irish Gift House.